The Supreme Court has just piloted the first paperless litigation case in Ireland. The appeal case of Lanigan v Barry in June was conducted using the eCourt App, using documents that were scanned and uploaded to tablets instead of the usual lever arch folders of paper documents. The eCourt App was developed by Irish technology company eCúirt Teoranta. 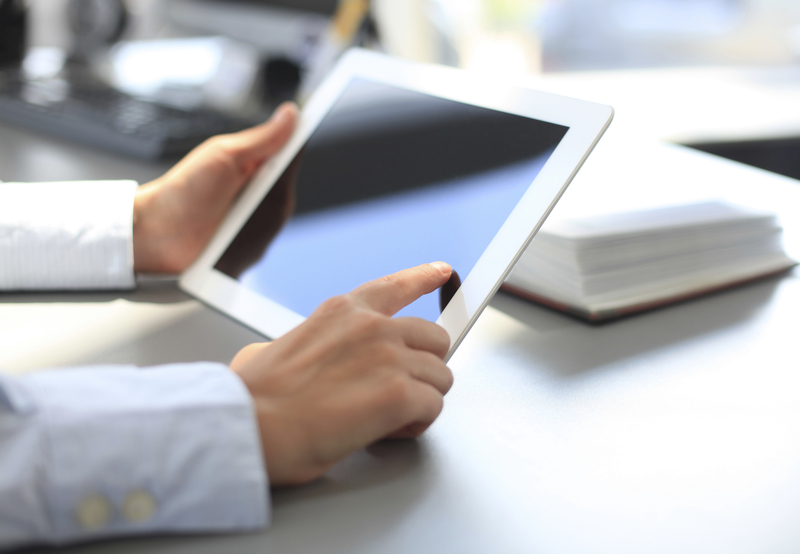 The system allows for pleadings and other court documents to be scanned and uploaded to tablets, where they can be searched electronically and private annotations can be made. It was reported that the paperless hearing took place “without a glitch”. This is despite the fact that the Four Courts in Dublin does not have access to wifi, a problem eCúirt Teoranta has addressed by developing an ‘eCourt Box’, a local Wi-Fi access point with an in-built server which can run up to thirty tablet devices. This new technology is particularly suited to paper-heavy civil and commercial law cases. For cases involving large volumes of documentation, the paperless system will reduce costs normally incurred in the preparation of trial books for court and will create more efficient hearings. LK Shields has considerable experience in conducting large-scale electronic discoveries (e-discoveries) in commercial law cases. The firm works closely with e-discovery and digital forensics professionals to collate and review potentially relevant documents for clients in the discovery and pre-trial preparation phase. The current paper-based trial system means that it is necessary to print most of the scanned documents contained on this e-platform, with several copies being required to create books for trial for barristers, solicitors, judges and witnesses to work from. The eCourt system removes the need for hard copies, using mirroring technology so that the person presenting in court can direct all parties on their own tablet devices to the same document or page. The Irish Supreme Court's move to paperless litigation reflects a worldwide trend in the legal profession of movement towards technology-assisted litigation. The Court of Justice of the European Union recently launched the CVRIA app - its first-ever app for smartphones and tablets - which allows legal professionals easy access to the case law of the court. In England, Supreme Court Justice Lord Kerr, is leading an initiative to improve the use of technology in the English court system and move towards paperless litigation. Cloud computing technology was piloted in the UK 2012. In Berezovsky v. Abramovich, a complex commercial dispute, electronic trial bundles and access to real-time transcripts and presented documents was used. The result was a saving of an estimated five million sheets of paper, resulting in a more efficient and far less costly hearing. While there are a few potential limitations to the use of courtroom technology – many court rooms are not yet technologically equipped to handle the computer equipment necessary to put on a paperless presentation at trial and some judges are wary of allowing the introduction of exhibits which are not in hard copy – courts are slowly but surely recognizing the advantages of a paperless litigation system. Going paperless in complex cases is more convenient for solicitors and barristers and will save clients both time and money in the long run. If adopted in future cases, the initiative piloted in Lanigan v Barry could eliminate significant wastage of resources, energy and expertise. While we may never have a completely paperless litigation environment, the challenge of addressing the potential of the e-court system should be welcomed and LK Shields is well placed to maximise the benefits of this new challenge. If you would like further information on this topic, please contact Muireann Granville at mgranville@lkshields.ie.